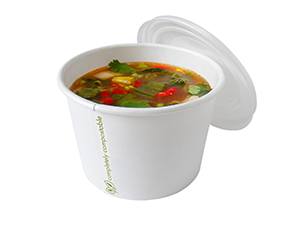 Improved soup lids with a sleek new design and clearer messaging. 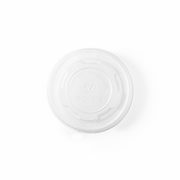 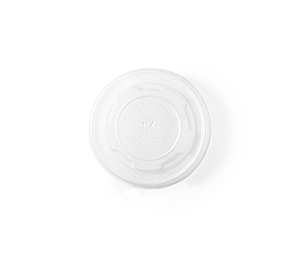 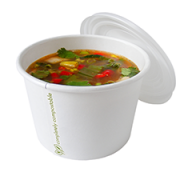 A tight fit and great heat resistance for 6 – 10oz Vegware soup containers. 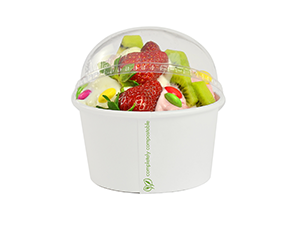 Low carbon, compostable and made from renewable materials.